What if ENTWAN made an ‘audience voodoo doll’, jabbed with jack and RCA connnectors ? And what if, from his ‘Mk2 altar’, this wizard-DJ coloured his vinyl records with black magic ? Even if you try to intellectualise the listening process, you won’t manage to resist and, all of a sudden, your spirit starts moving. With the track ‘YOU KNOW WHAT I NEED’, ENTWAN makes sure the audience feels comfortable when a striking white noise announces a deep bass, surrounded by ghosty vocals. Dedicated to the most atheists, DANNY SERRANO’s remix appears to be heavier, more acoustical and caracterised by the presence of disco-funk samples. Then comes the groovy and hypnotic track ‘AS YOU’ and its mystical ingredients : low medium drums, shiny snares and african percussions. The rite ends up with ‘MORE PILLS’, where our wizard transcends the audience, using deep basses and techno rythm. ‘I NEED’ appears to be an homogeneous EP in which the four tracks could be seen as four variations, flirting with musical tautology but always keeping your body alive. Rod B. (MUR Music / UMF Radio – Miami/Brazil) Great Ep! Duca (1605 / Miniaturesrec / Neptuun City.) You know what i need (Original Mix) is good! Dema (Sci+Tec / Trapez / Agile) great release! DJ Instint (XDC Music) Good remix of Danny Serrano! Steve Lawler (VIVA) Downloaded for Steve Lawler. Alexander Madness (1605 / Sabotage) Danny’s rmx is for me. Nice. X-Press 2 Great beats and sounds. More Pills my fave. Paul Darey (Bora Bora / Ibiza) Nice package Full support!!! 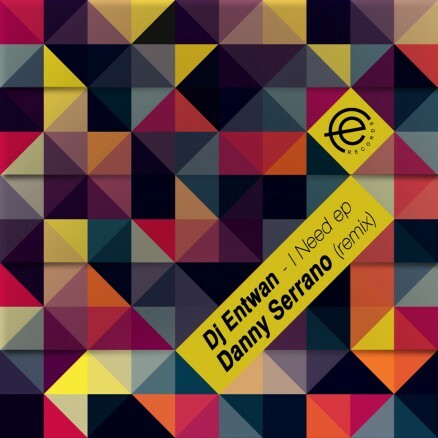 Sam Divine (Defected in the House / House Connoisseur) Danny Serrano Remix is great! Dimis (Press & Play / Evolution) good track! Aleksij (Toolroom / Ibiza Night) Very Good! Markus Schulz (Global DJ Broadcast) WIll Test out Thanks. Philipp Straub aka Dj Felipe (Mutekki / Hell Yeah / Intec – Vienna) Nice tunes!! D-Nox (Sprout) more pills sounds something i have heard before 😉 good techhouse tool. will play! Darlyn Vlys Danny remix & More pills are great! Thx! Feodor AllRight and Elena Mechta (AMDJS Radio Show / Russia) « As You » original is quite nice. Tolis Q (Quantized Music) really licking as you! will play!